Victory Silos Condos is a new per-construction condo project located at 351 Lake Shore Boulevard East, In Toronto, Develop By The Great Gulf and Dream Developments. The project has total 50 Stories buildings. The mix of uses community included Condos, office, Park and Retail. 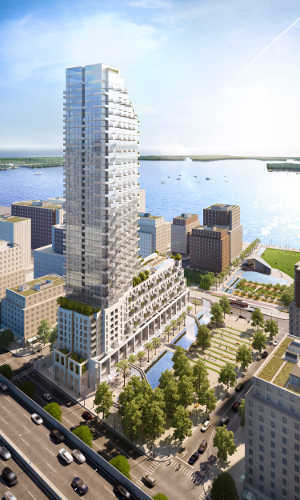 Victory Silos Condos, Part of the site is given over to the extension of the successful Sugar Beach Park across Queens Quay. The development has been designed to meet the challenges of significant environmental constraints to create a unique structure.